There are countless cartoons that people remember from their childhood such as Tom and Jerry or Bugs Bunny. However, in this top 5 list by LiveStryder we have five animations that you may very well have forgotten about. They're certainly not cartoons that you're going to remember off the top of your head, but you will probably remember now that we've jogged your memory. Of course, everyone has different memories, so this list won't please everyone. However, I hope you will enjoy revisiting these cartoons, at least. Now, I certainly remember the original Felix cartoons and comic strips which originate from the 1920s. No, I'm not quite that old! The old cartoons were often repeated on TV during the 1970s which I remember watching as a child. Yes, I'm still old, but not ancient! The Twisted Tales series that aired in the 1990s, was a modern version of the colour cartoon series which was shown from 1958 to 1962. It's pretty surreal and offbeat, but what the video narrator in the clip above fails to mention is that this is actually more reminiscent of the original silent shorts shown in the 1920s. 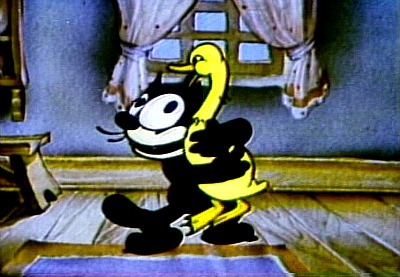 In the 50s series, and in the 1988 movie Felix The Cat: The Movie, Felix had a more innocent character. 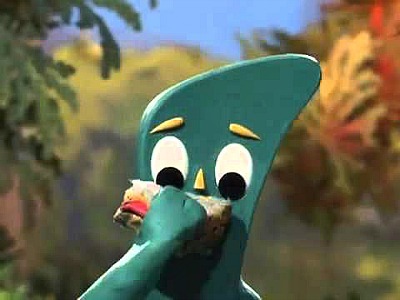 The Gumby Show was an American claymation series that originally aired from 1957 to 1968. Created by a pioneer of stop-motion clay animations, Art Clokey, in the early 50s, the shorts were released on video in 1987. 99 brand new 7 minute episodes were broadcast during 1988 in Gumby Adventures, which also included the original shorts but with new voices and music. It was a pretty quirky animation and has gained a cult status, However, it's not an animation that is often mentioned in nostalgia programmes. Featuring mini versions of well-known cartoon characters, this series was a collaboration of Warner Bros and Steven Spielberg's Amblin Entertainment. It's one of those cartoons you will remember only if you happen to stumble across it, such as on this blog! However, after asking everyone in our team whether they remember this one, it's not a cartoon that anyone remembers as being one of their childhood favourites. The idea was actually conceived in the 1980s, but took many years to come to fruition. There was a lot of old-fashioned slapstic, and the series obviously borrowed many of its ideas from the Looney Tunes era. There were 100 episodes in all, broadcast over three seasons. In the U.S., the first two seasons aired on CBS, with the final season being shown on Fox Kids. Created for MTV, Daria was an American cartoon that originally aired between 1997 and 2002 as a spin-off from Beavis and Butthead. It ran for five seasons (66 episodes). 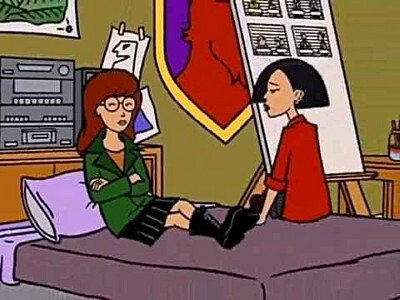 This was a refreshing and smart 90s cartoon drama that followed a cynical teenage girl who criticised the modern world, including social classes and popular culture. The creator of Beavis and Butthead, Mike Judge, had no involvement in the creation of this series, although he did agree to let the Daria character be used by Glenn Eichler and Susie Lewis Lynn. This energetic and funny cartoon ran for five seasons (99 episodes) from 1993 to 1998, and featured a huge array of characters, It was highly praised by the critics, and was bursting with an exciting energy and quality animation that hadn't been seen since the Looney Tunes and Merrie Melodies cartoon era. Even the music was created using a full orchestra. Animaniacs creator was Tom Ruegger, who had worked with Hanna Barbera during the 1980s. With Stephen Spielberg as the executive producer, and Warner Bros and Amblin Entertainment involved with the production, it's no surprise that this cartoon was such a winner. Quite possibly, the best cartoon series of the 90s.